As we noted last week here at Diabetes Flashpoints, various plans by Republicans in Congress to repeal and replace the Affordable Care Act (“Obamacare”) may have a significant impact on people’s health insurance deductibles. But people who get their health care through that law’s insurance exchanges are hardly the only Americans potentially dealing with recent — or future — deductible increases. In the United States, most currently employed people get health insurance through their employers, and some have had to deal with employer-mandated increases in their deductibles — usually a cost-saving measure for these companies. Especially for people with chronic conditions like diabetes, a higher deductible can mean substantially higher out-of-pocket costs — for things like drugs and blood glucose testing supplies — before the deductible is reached and the insurance pays for medical expenses. In a recent study, researchers looked at the impact of employer-mandated deductible increases on people with diabetes. Published last month in the journal JAMA Internal Medicine, the study included 12,084 participants between the ages of 12 and 64 who were enrolled in a health plan with a deductible of $500 or less for at least a year, before being switched to a plan with a deductible of $1,000 or more for at least two years. For this study, the researchers compared these participants to a similar group who weren’t forced into a deductible increase, and continued to have a deductible of $500 or less for another two years. As noted in an article on the study at HealthDay, being switched to a high-deductible plan had no overall impact on primary-care doctor visits or diabetes related testing — good news, it would seem. But the change had a significant financial impact on participants, with out-of-pocket medical spending increasing by 49.4% — and by even more among low-income people (51.7%) and people eligible for health savings accounts (67.8%). This second number is especially signifiant because many of the current Republican health-care proposals encourage using health savings accounts (HSAs) for out-of-pocket expenses, in combination with a high-deductible insurance plan. And the study’s bad news didn’t end there. Even though the rate of primary-care doctor visits didn’t change overall, high-priority specialist visits among participants decreased by 5.5% in the first year and 7.1% in the second year of the high-deductible plan, compared with before the switch. Non-emergency-room doctor visits for acute diabetes complications were also delayed 6% more often than before the switch, and emergency room visits for diabetes complications increased by 8% overall. This increase was even higher among low-income people (21.7%) and those eligible for HSAs (15.5%). What’s your take on high-deductible health insurance plans — are they good because they discourage unnecessary doctor visits and tests, or bad because they encourage skipping necessary care? Should even high-deductible plans cover routine costs for chronic conditions that people already have, like diabetes? Would you rather pay a lower premium and have a higher deductible, or vice versa? 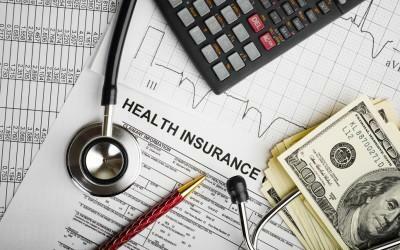 Should Congress encourage high-deductible plans and HSAs for out-of-pocket expenses? Leave a comment below!